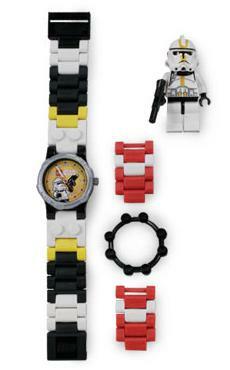 W007 LEGO Star Wars Clone Trooper Watch is a Star Wars watch released in 2007. It contains a watch with a Star Corps Trooper. The watch is able to be built many ways to suit your preferance. Facts about "W007 LEGO Star Wars Clone Trooper Watch"